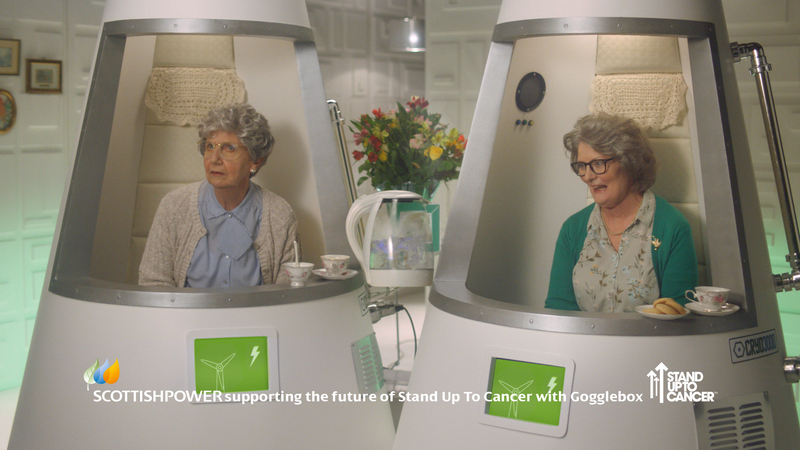 ScottishPower – Gogglebox SU2C | Pickled. It’s always a pleasure working with Edinburgh’s Tanami and this ScottishPower project was no exception. The scene, a futuristic living room, playing host to two ladies whom are settled for an evening in front of ‘the box’. Delivering for social and TVC / Sponsorship, Pickled provided post production supervision, online editing, VFX production, grade and delivery. 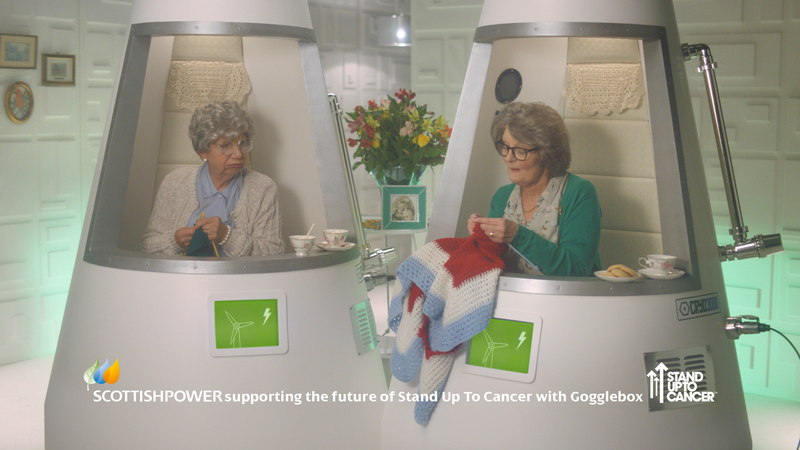 The films were directed by Phil Lind and produced by Tanami’s Jemma Goba, for ScottishPower, in support of ‘Stand Up To Cancer‘. 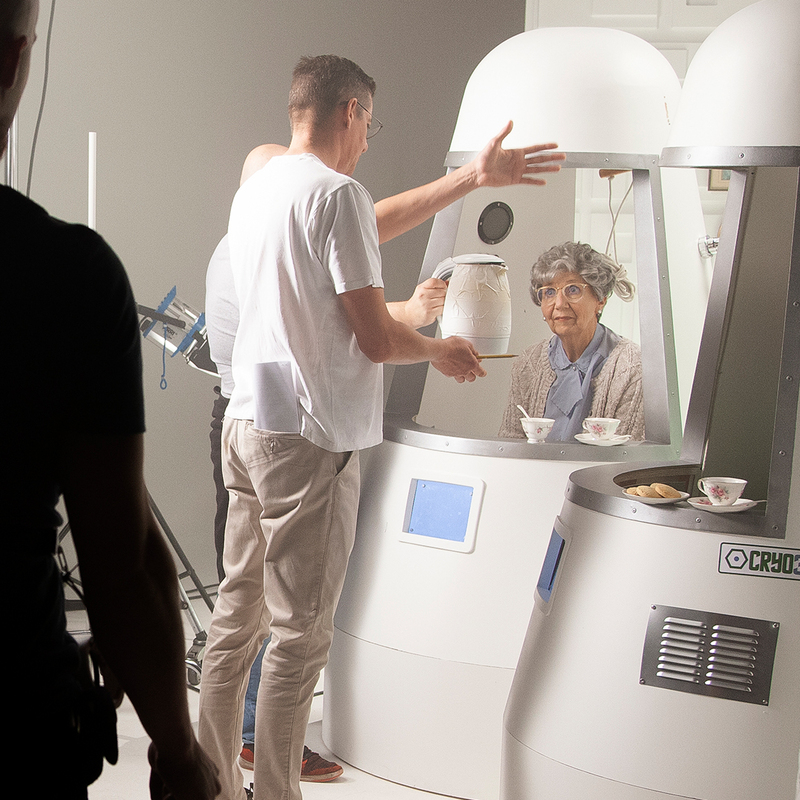 Leith Agency’s Claire Watson and Dan Scott crafted the futuristic concept and comedy script for some Gogglebox sponsorship banter. Pickled’s Craig Reeves took flight to Scotland providing VFX supervision for the sponsorships post-production requirements. From floating kettles, screen replacements and set clean up, Reeves worked with team Tanami, providing solutions that would pave a path for post production fluidity. 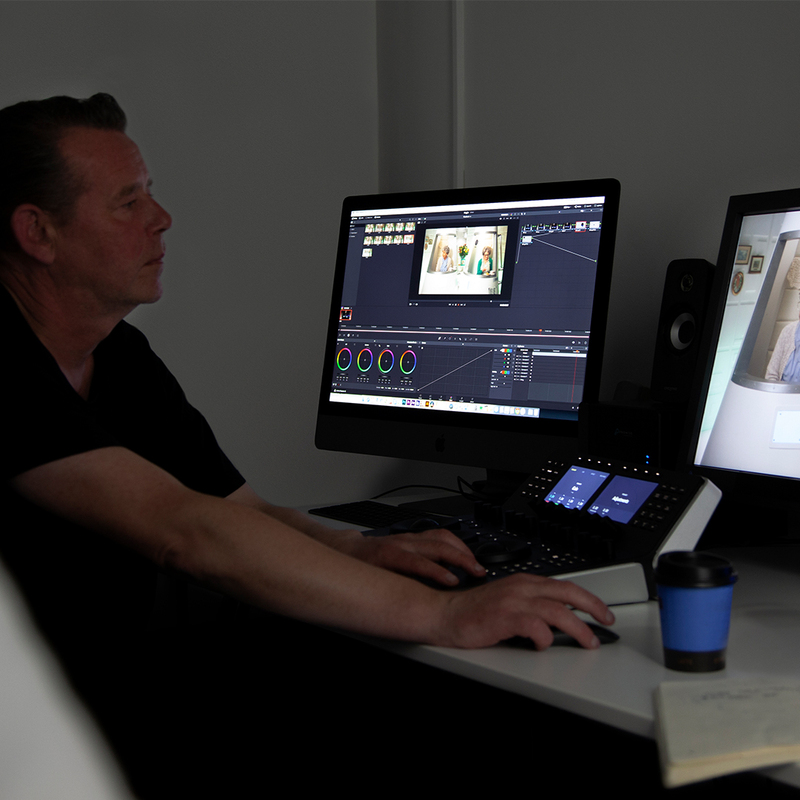 With Pickled’s network post production in full flow, artist Adam Fenwick worked alongside Reeves processing visual effects for place within the online edits. With two Autodesk Flames working whilst miles apart, the process was seamless. High resolution plates were exported, setup files were archived and transferred via FTP, allowing for a streamlined workflow. The grade was performed by Martin Southworth within Davinci Resolve and took place in London with Lind and Scott keeping creative check. 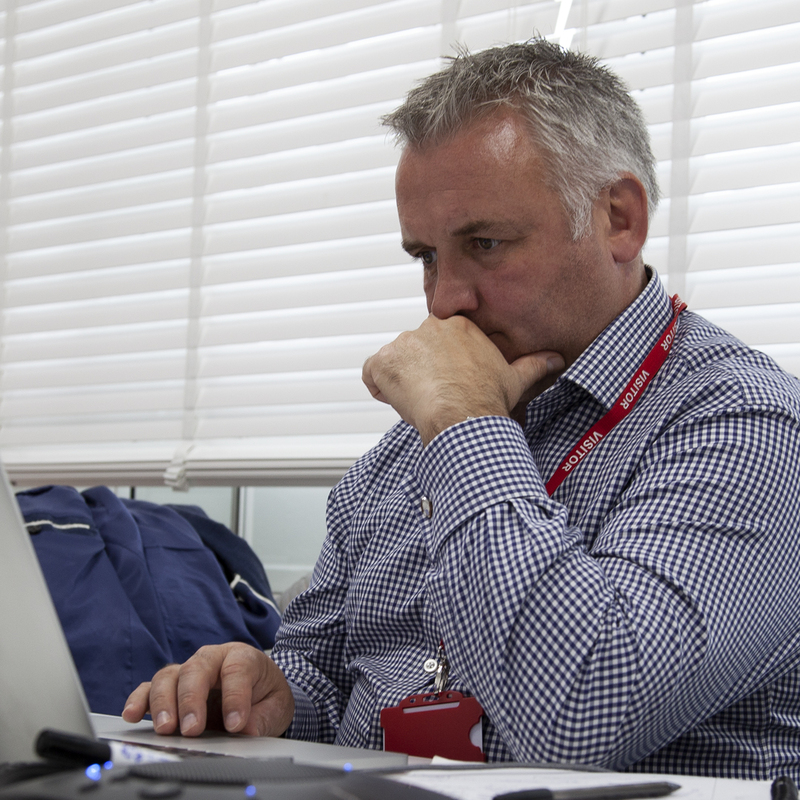 Danny Jones post-produced the sponsorships and ensured that the films were quality checked and delivered with the TVC delivery platform, Honeycomb. Pickled delivered 9 TVC masters and 12 films for social media. For more behind the scenes and video’s check out our facebook page!